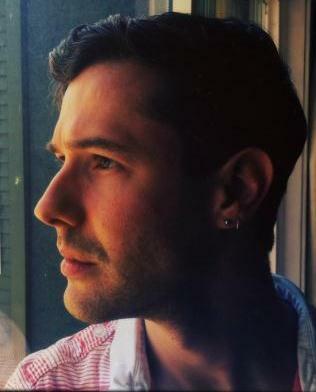 We thank and welcome today’s guest, gay fiction author, Liam Livings to Romaniac HQ. Liam discusses the value of attending writing events. We’d love to hear your thoughts, too. I learned a great deal of things about writing, promotion, the publishing industry, which I had absolutely no idea about before. Yes, you could get some information on the internet, but when you’re starting out, it’s like the new thing you’re grappling with has no edges, no shape, no names, no words for you to google even (shock horror!). When you’re entering a new ‘industry’ as I was, taking your first tentative steps, there’s a whole new language, set of abbreviations, tools and techniques you need to learn. And there’s something very human and satisfying about learning new things with like-minded people, being able to ask in the breaks or over lunch, ‘What’s a trope?’ or ‘What does HEA stand for?’ And because you’re in like, friendly company your answer is met with a friendly helpful response. I didn’t even know what a blog tour was, never mind being able to think, that would be a useful way to promote my book. I’d never heard of Nanowrimo, and over dinner Anna Martin explained it to me. I didn’t do it in November, but ended up doing Janowrimo instead. I didn’t know what I didn’t know, and there’s a whole new world of new ideas and concepts to know. Once you start to know what you didn’t know, that leads onto more knowledge, and then you can begin to have opinions about these new concepts: is a HEA always good; should I do Nano this year? As I drove through Brighton on my way home, that Saturday night, my head was buzzing with ideas and new phrases, like these, and I doubt very much if I’d have got that buzz from a few hours diligently googling. 2. It can lead to lots of other things, which wouldn’t happen (probably) if you’d not met the people face to face. Meeting people at writing events can lead to many other opportunities, which may have happened, had you met them online, but are much more likely having met the real people and really ‘connected’ with them in physical real time. There’s something about having a meal with a group of new people, chatting over tea (I don’t drink coffee) between sessions, asking them how they’ve got on, that cements relationships in a way online can’t. 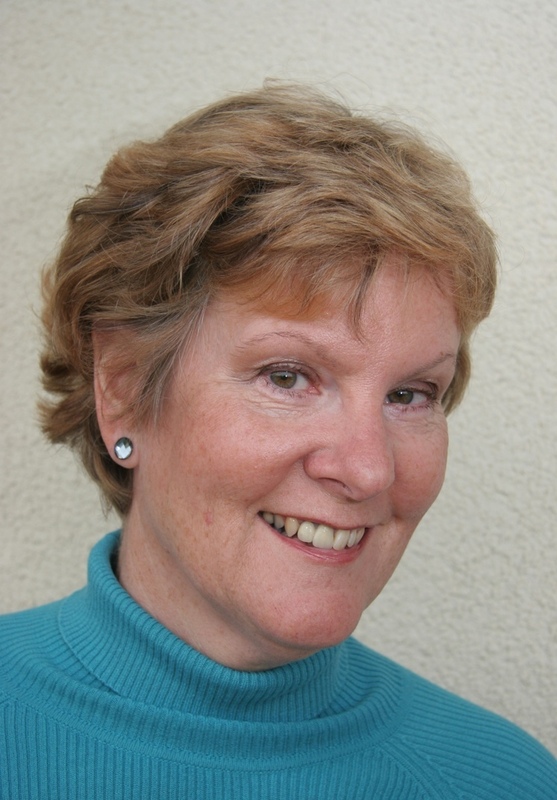 After the UK Meet I was asked by Charlie Cochrane to guest on her blog, which I loved. I was asked by Clare London to take part in the next big thing blog tour, and because I’d met some other authors, I actually had people to tag. I’ve been on Becky Black’s blog. And somehow, using my marketing skills from my day job, I’ve ended up being part of the planning group for the 2013 UK Meet: I said yes to all of them. All things which I doubt would have happened, had I not met these people at the UK Meet 2012. 3. Writing can be quite a lonely experience and these events brings us together. Although my friends have taken an interest in my writing to varying degrees, ranging from begging me to read the manuscript and commenting profusely, to not knowing what to say, I’ve found the actual process of writing can be quite lonely: it’s me, my laptop, a cup of tea, and sometimes one of my cats on my lap. I tend to write when I’m alone in the house, finding it helps my productivity. This is contrary to my extrovert personality (I’ve done Myers Briggs, and reading the summary was like they’d got inside my head had a poke around and written the report, rather than me ticking some boxes on a form) where I love interactions with people, hearing their stories, meeting my friends and family. But with the exception of one friend, I had no one I could talk proper geeky writing with – technique, planning, word count, you know the nitty gritty. Not one. I have ‘car friends’ with whom I can indulge my geeky car interests. So going to the UK Meet allowed my inner writing geek loose: to plan or not to plan; how many words can you write in a day; where do you get your ideas from; grammar errors which should result in capital punishment…All topics you can talk about until your little writing heart’s content at writing events. 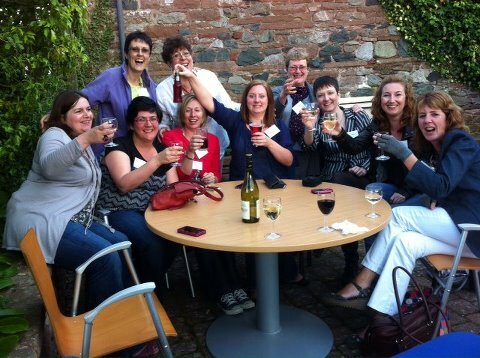 At UK Meet 2012 I realised I’d finally found my people, I’d found my ‘writing friends’ which is so healthy and normal as a person, to share interests with others. Yes, you can have these discussions online, and I think that’s great (and do still do that). However, in a world when online seems to be the way all things are going, there’s something very comfortingly old-fashioned about meeting people face to face, having a ‘I do that too’ moment, or a ‘are you mad, you’re wrong’ moment, face to face. These moments are the seeds of friendships and before you know it you have a range of ‘writing friends’ all around you. That’s something writing events can deliver in spades if you roll your sleeves up and get involved. 4. Knowing who to contact for different questions and to ask for help. 5. Talking to others who’ve been through the same thing you’re going through. When you’re an unpublished author, as I am at the moment, getting published can seem like a mythical world, far far away. A bit like Narnia maybe… mmm James McAvoy playing a fawn, concentrate Liam… So talking to other authors who’ve been through that process, and come out the other side, a published author was one of the most valuable things I took from the UK Meet. 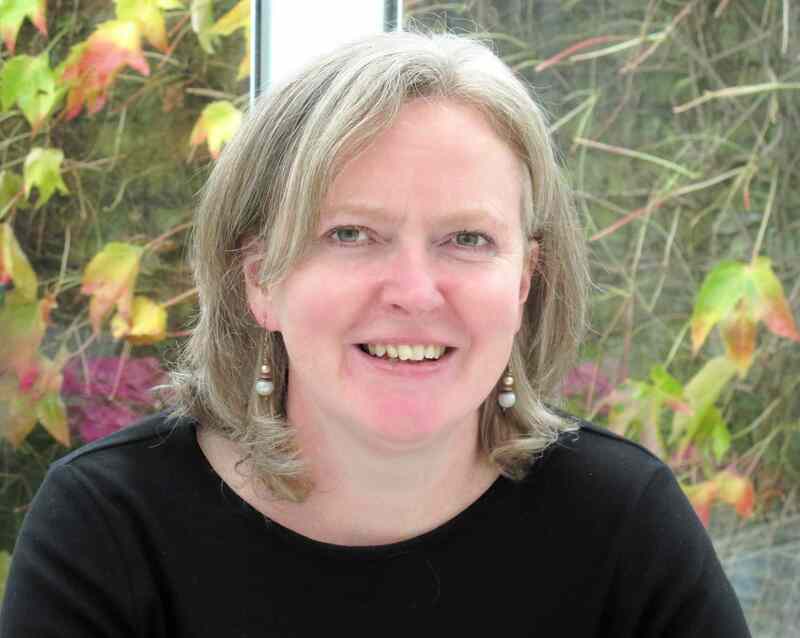 The session on getting published, where Becky Black explained there was no magic handshake, no special codes, it was about making the work the best you can, targeting the right publishers, and persevering, was like a halleluiah moment in my head. Talking to other authors during the weekend in Brighton showed me many other similar stories about other authors, juggling writing with family/work/pets/life, and still getting published. Hearing these stories from the mouths of other writers was so much more powerful than reading about it on the internet, and it has really spurred me onto getting published. 6. Practical tips for things you’d never have believed you could do. Me, making a website! Never. When I went to UK Meet, all I had was a domain name www.liamlivings.com (which against the better belief of The Boyfriend, and all my friends who know I have no web skills whatsoever, I’d somehow managed to organise). Having spoken to other writers, who’d all made their own websites/blogs/whatevers who were all about the writing and not so much about the HTML, I had the confidence to make my website and blog. I left the UK Meet 2012, with a list of build your own website (for dummies) sites. One afternoon, two weeks after the UK Meet, I made it happen. Whatever your particular sticking point as a writer, I’m sure a chat with someone who’s been there before who could show you how easy it is, would free your sticking point. I would not have had this confidence, to just go ahead and do it, had I not spoken to so many others who’d done the same. So, the next time you’re umming and ahhing about whether to stump up the air/rail/fuel and hotel to attend a writing event, just remember how valuable it is to really connect (old fashioned face to face connect) with like minded people, and how many more wonderful opportunities can come from a conversation with another writer. Good morning, Alison, and welcome to Romaniac HQ. I’ve piped in a little Abba music for the occasion…Ack! Who am I kidding? I play their songs all the time. Have you see the recent TV interviews with Agnetha? Yes, I caught one on YouTube. I think her new album ‘A’ has just come out? Which Abba song would you sing at a karaoke night? What is it about their music that draws you in? It’s catchy, melodic and has great lyrics and energy. But mostly it’s the sheer danceability. I was always in awe of the fact a Scandinavian group wrote in English. Tell me about your love for language. I was a natural chatterbox who loved reading, and writing stories and listening to them, so that’s the four language skills in a nutshell! As for foreign languages, I learned my first French at age 6 in France, studied French and German at uni and overseas business schools and, via various jobs, became a professional specialist translator. I know a little survivor’s Italian and Spanish, and, of course, Latin! All this paid off when I studied for my history MA and I could read source documents in their original language. Have cultural experiences influenced your writing? How? Big time! Sure, I’ve learned about other cultures through the window of their language and literature, but it’s when you stand in the country and touch the buildings and the things they’ve made with your own fingers that it all comes to life. The first time I ‘met’ the Romans was when I was eleven. 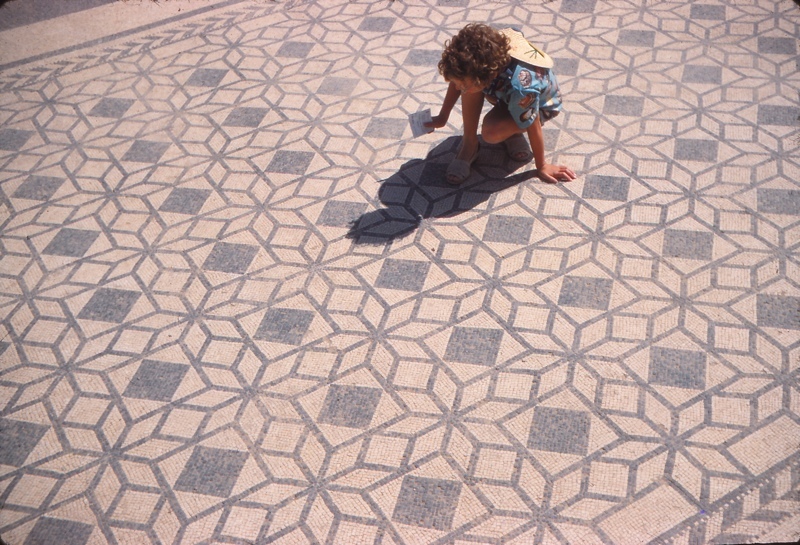 I was fascinated by the beautiful mosaics in the Roman part of Ampurias (a huge Graeco-Roman site in Spain). I wanted to know who had made them, whose houses they were in, who had walked on them. I think I’ve always been a closet historian, or perhaps it’s sheer nosiness! It’s perfectly normal to me to clamber over Roman aqueducts, walk on mosaic pavements, follow the German frontier limes, visit Roman loos in France, pretend I’m a Roman playactor in classic theatres all over Europe from Spain to then Yugoslavia, from Hadrian’s Wall to Pompeii. How do you use your research to write about alternative civilisations? Ah, very good question! Setting a story in the past or in another country is a challenge. But if you invent the country, then your work is doubled. For instance, the geography and climate must resemble the ones in the region where the imagined country lies. 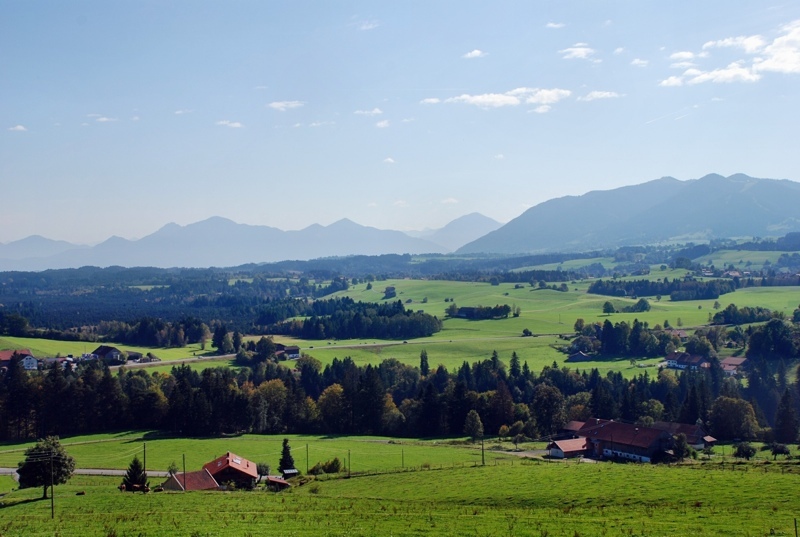 I’ll confess: I ‘borrowed’ Slovenia as the model for Roma Nova where my novel INCEPTIO is set. The other thing no writer in any genre can neglect their imagined country’s social, economic and political development. This sounds dry, but every living person is a product of their local conditions. Their experience of living in a place and struggle to make sense of it is expressed through their culture and behaviour. 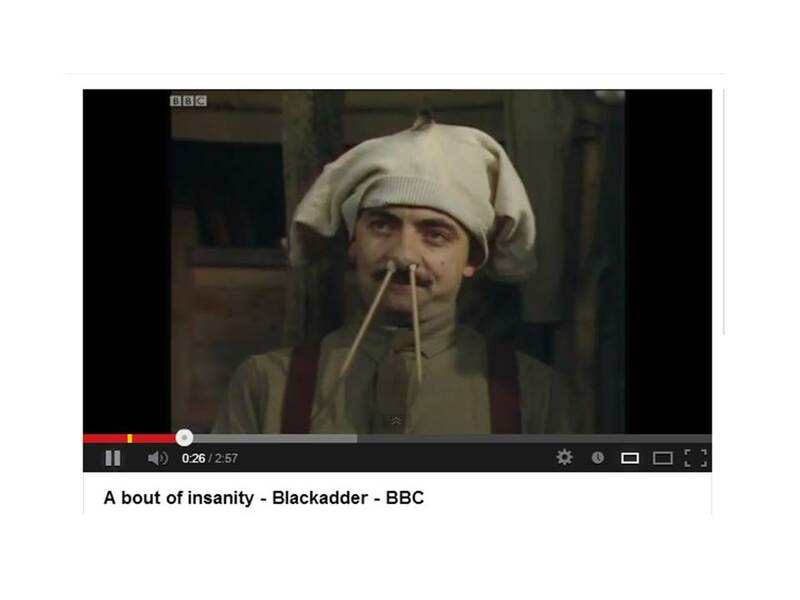 The key is plausibility. Take a character working in law enforcement. Readers can accept cops being gentle or tough, enthusiastic, intellectual or world-weary. Law enforcers come from all genders, classes, races and ages and stand in different places along the personal morality ruler. But whether corrupt or clean, they must act like a recognisable form of cop. They catch criminals, arrest and charge them and operate within a judicial system. Legal practicalities can differ significantly from those we know, but they must be consistent with the imagined society but remain plausible for the reader. But a flashing light and an oscillating siren on a police vehicle are universal symbols that instantly connect readers back to their own world. I try to infuse, but not flood, the story with corroborative details to reinforce the original setting. 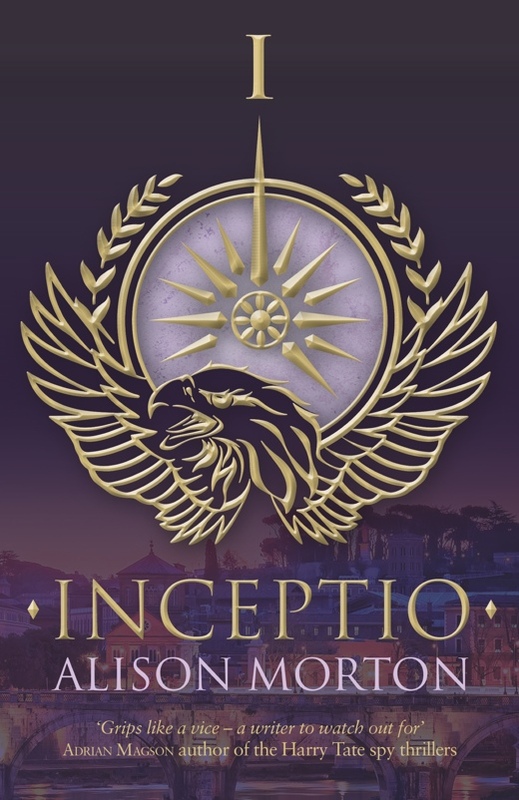 Even though INCEPTIO is set in the 21st century, the Roma Novan characters say things like ‘I wouldn’t be in your sandals (not ‘shoes’) when he finds out.’ And there are honey-coated biscuits (honey was important for the ancient Romans) not chocolate digestives in the squad room. Another way to connect to readers when writing from an unfamiliar setting is to ensure the characters display normal behaviour. Human beings of all ages and cultures have similar emotional needs, hurts and joys. Of course, they’re expressed differently, sometimes in an alienating or (to us) peculiar way. But we can identify with a romantic relationship, whether painful, instant, careful or intense – it binds us into the characters’ lives. ‘Inceptio’ was launched in March of this year. Please tell me about the book. Which three words best describe Alison Morton? Ha ha! I laugh because I had to ask friends and colleagues exactly this question during a business coaching session. 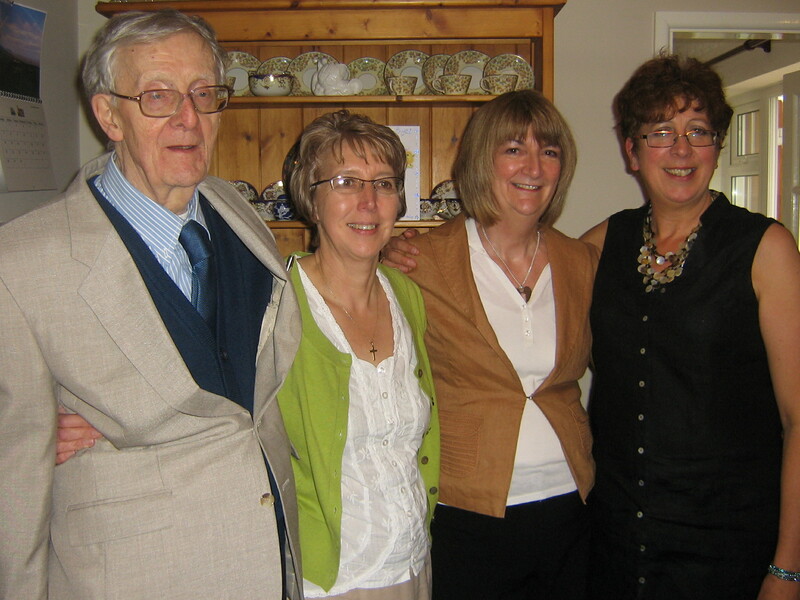 Their most frequent three were: motivated, imaginative, organised. Mine for me are: persistent, nosy, positive. If you lived in Roman times, what name would you use, and what would be your occupation? In early Roman times women usually took their father’s family name differentiated by Prima, Secunda, Tertia (First, Second, Third) or Maior (the Older) or Minor (the Younger), but later were often named for both male and female relatives, so a huge choice! Using later conventions, I’ll go for Aelia, the nearest-looking first name to Alison, and Carola after my father’s first name (Aren’t you glad you asked?). And my occupation? 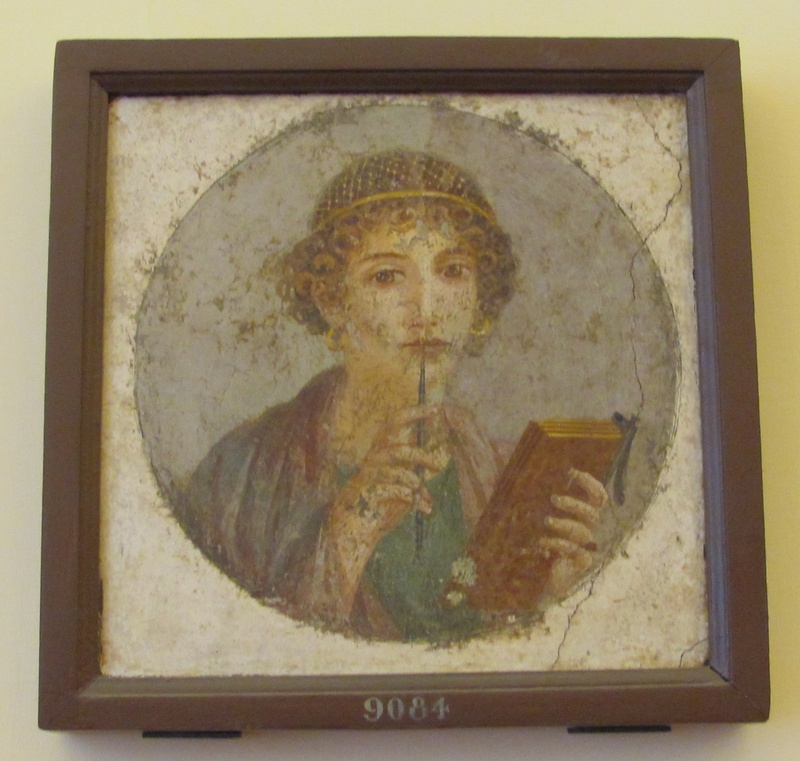 At no time in Ancient Rome’ were women allowed to hold public office or work in the government. Elite and middle class women didn’t have jobs. But there’s a lot of evidence for women running small businesses and working in practical trades as well as the oldest profession. Of course, the silent influence of strong women was everywhere… I think I’d run a small business. Could this be me, tallying up the accounts? Now for some Romaniac Quick Fire questions. Ready? Alison, thank you so much for joining us today, in our own alternate Romaniac universe. Ego tibi gratias maximas ago (Thanks a million!). Photographs courtesy of Alison Morton. The convention is an annual event, hosted by RT Book Reviews magazine at a different American location each year. This year it was Kansas City and it was the 30th anniversary convention. It was rumoured that more than two thousand readers and authors, mainly female, descended on the unsuspecting city for the hectic long weekend. And I was one of them, part of a group from Choc-Lit, intent on taking British-style romance to new audiences. It was exhausting and enormous fun. Those ladies know how to party and were focused on doing just that, from the morning mixers and breakfast events to the evening balls and parties. In between there were talks by authors – singly and in groups, quizzes, scavenger hunts, craft sessions and the chance for aspiring authors to meet agents and publishing houses, to pitch their manuscripts. The term ‘elevator pitch’ took on a whole new dimension while being practiced on the way down from the 29th floor. You could pick out the glow from the hopefuls who had just been asked to submit their manuscript from about ten paces. Choc-Lit authors hosted a craft session on creating heroes, a chocolate tasting session, a Jane Austen celebration from CL’s Austen expert, Juliet Archer (which featured a guest appearance by Mr Darcy) and, captained by author Lynne Connelly, devised a fiendish quiz to test the participants’ knowledge of the British Isles. And yes, I was the one with the question that involved a sheep. I was specializing in Wales, after all. And wore the national dress, to prove it. I also forgot to give someone my camera to get a shot of me in it. The hotel was fabulous, the free books on offer were amazing, the swag – gifts from authors and publishers of everything from bookmarks to letter openers – completely fascinating. You have no idea how many gew-gaws and gadgets can be printed with an author’s name. Actually I do, now. I brought home as many as I could carry. Some of the themed parties featured costumes – saloon girls to vampires – and the anniversary ball called for formal dress. The Choc-lit group rose to the occasion with sparkle and tiaras. 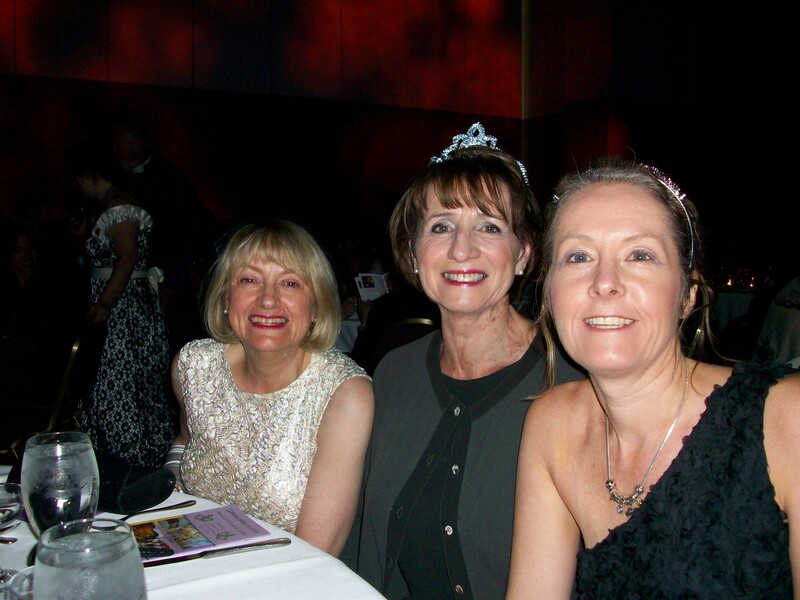 I didn’t risk a tiara – I was afraid I’d end up wearing it as a necklace – or skewering someone’s eye, but I did have a snazzy pair of cream coloured elbow length gloves, which were admired by a gentleman I met in the lift on the way to the ball. His wife was very tolerant about it. I had a really great time. It’s impossible to give more than the tiniest glimpse of the scale of the event here. 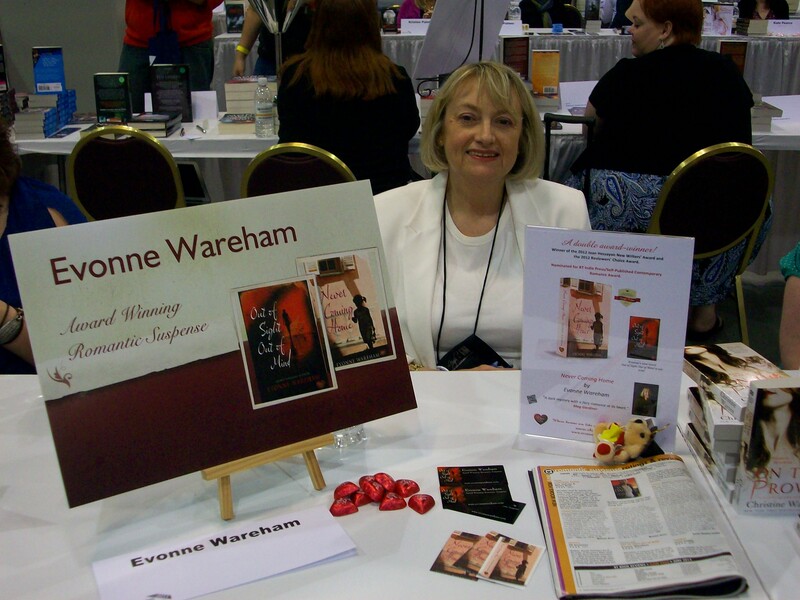 The high-spot was probably being part of the huge book signing on Saturday morning, but the thing that made the most impact was the welcome and interest shown by American romance fans. The British (and Welsh) accents had something to do with it, but everywhere there were people keen to talk about books, writing and every kind of romance genre. Next year’s convention is in New Orleans and events are already being planned. And I’m already saving my pennies. Tea, please, and just a sliver of cake. 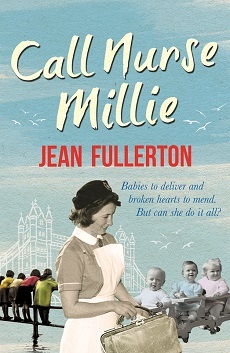 We know it’s a hectic week for you (excitingly so) as your new novel Call Nurse Millie is being published on Thursday. Can you tell us a bit about Millie and her story? 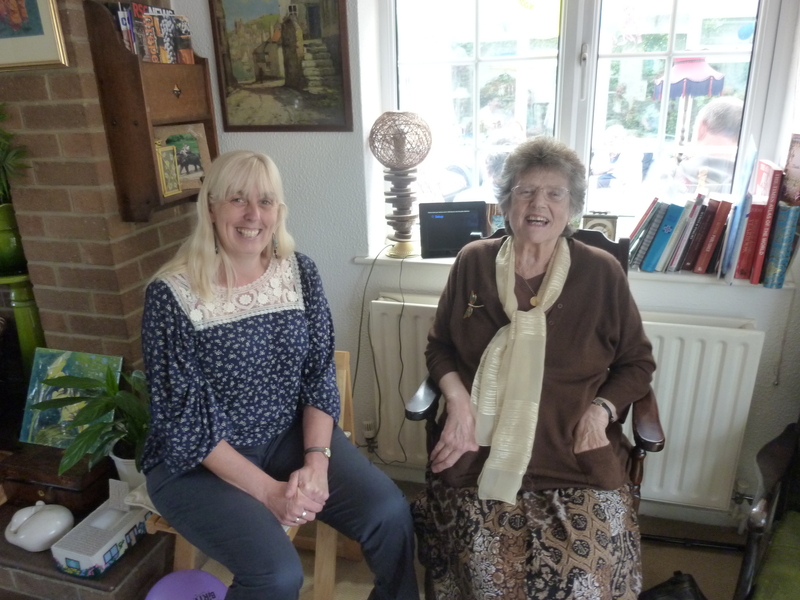 We meet Millie on VE day in 1945. As the bombs stop and the troops begin to return home, the inhabitants of London attempt to put their lives back together. For 25-year-old Millie, a qualified nurse and midwife, the jubilation at the end of the war is short-lived as she tends to the needs of the East End community around her. But while Millie witnesses tragedy and brutality in her job, she also finds strength and kindness. And when misfortune befalls her own family, it is the enduring spirit of the community that shows Millie that even the toughest of circumstances can be overcome. Through Millie’s eyes, we see the harsh realities and unexpected joys in the lives of the patients she treats, as well as the camaraderie that is forged with the fellow nurses that she lives with. Filled with unforgettable characters and moving personal stories, this vividly brings to life the colourful world of a post-war East London. Although I’m a district nurse, I had a great deal of pleasure researching the equipment and techniques she used to nurse her patients, which are so very different from the ones I used during my time on the District. How has the run-up to publication been for you? Can you give us a teaser about what’s involved? In a word: hectic. All writers, be they with a large publisher like myself or self-published, need to do a great deal of promotion. My publisher handles the national press and trade publicity but since I handed in the second part of Millie’s story to my editor in February, I have written at least a dozen blogs and articles. Over the past five years I’ve built up many contacts in local newspapers and radio and I’ve been getting in touch with them for feature articles and afternoon slots on chat shows. Your knowledge and fondness for the East End of London shines through in all of your novels, Jean. 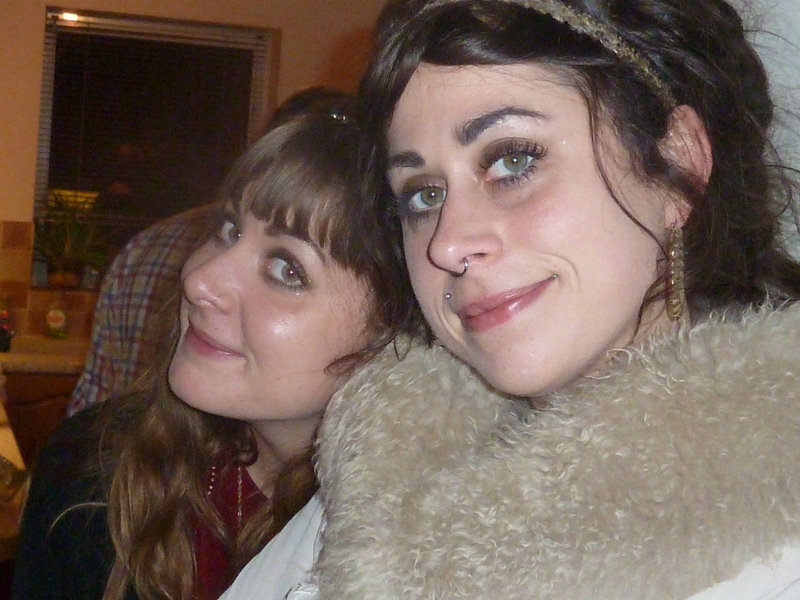 What would you say are the main contributing factors behind their authenticity? That’s very kind of you to say so. I think the main reason for my books authentic feel is that I know the area and the East End culture through and through. And not because I’ve read books and researched, which I have, but because it is the place where I was born and raised. It’s in my bones, and as I write long-forgotten snippets from my childhood. Stories told to me of what the East End used to be like drift back into my consciousness. In Call Nurse Millie, I draw on much of my immediate family’s history to bring the post-war Docklands alive. Also, and probably more importantly, I just love the place. You clearly love English history but what in particular inspires you about the 18th and 19th centuries in which your books are set? To my mind, the Victorians invented the world we live in today. Things we take for granted like railways, mass produced consumer goods, civil engineering, modern medicine and even bank and company regulation, started in the Victorian age, not to mention many revolutionary ideas such as social responsibility of the rich to the poor. It’s also history you can touch as most of us have old sepia photos of our own Victorian ancestors and thanks to the Victorians love of detail, we have the priceless records of the 19th century censuses to draw on for research. Which genres do you enjoy reading? Although Historicals always catch my eye, a book for me is always about the story but I try to read something I wouldn’t write, such as a juicy crime by Lee Childs or well-written women’s fiction by people like Carole Matthews or Julie Cohen. I find it difficult to read my own genre as I find myself turning from a reader into a writer and I start thinking ‘I would have done this or that’ and so it pulls me out of the story. Describe a typical writing day for you, how it ties in with your day job. I no longer work as a district nurse but lecture in nursing studies at a London University so my day-job hours are more writing friendly. Most days I’m home by 4.30pm so I reply to any emails that I couldn’t deal with in my lunch break then me and the Hero-at-Home prepare the evening meal together. We usually eat at 6.30 as he is often out to 7pm meetings. I go up to my office at 7ish and write until 9.30 when I take a TV break for an hour or so, then most nights back up again from 11-12 midnight to read through and fiddle with what I’ve just written. We both have busy lives, so try to have Friday night as our time together, usually in a local hostelry. I also work Saturday and Sunday afternoons if the family- of three grown up daughters, son-in-laws and their offspring- aren’t around. You’ve given many valuable author talks and conducted various successful writing workshops – what are the most enjoyable and rewarding aspects of these? The thing I love most about both my talks and workshops is meeting people, particularly if someone tells me how much they loved my book. That’s why I write, after all, to bring others into my stories. I also enjoy helping and guiding others as they learn the necessary skills to write their own page-turning novel. Who or what (or both) would you credit with being the biggest influence on you as a writer? That’s difficult to say but I suppose the writer who got me into this was Anya Seton with her fabulous book Katherine but the biggest influence has to be the wonderful Romantic Novelists’ Association who helped me learn my craft and encouraged me to stick with it. Any other creative passions, Jean? My dad was an amateur artist and I used to be quite good at drawing and painting but I don’t do it now, however, I am very visual so enjoy art galleries and exhibitions. I often use old photos of East London to help me when I’m writing. How will you be celebrating Call Nurse Millie’s launch on Thursday? Packing my suitcase for my well-earned Mediterranean cruise the day after. Celebrity you’d most like to be stuck in a lift with? Hugh Jackman- for the obvious reason! Dream Holiday Destination? Anywhere on a cruise ship. Sunday Roast with all the trimmings or Fish & Chips? Sunday Roast. 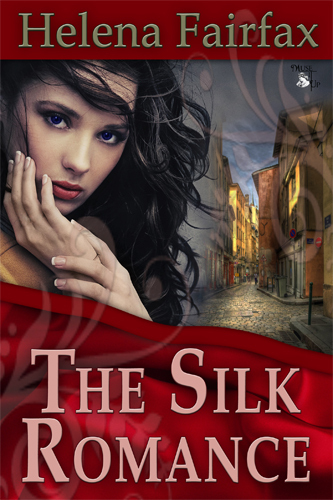 Novel you never tire of reading? Katherine by Anya Seton. Jean, it’s been an absolute pleasure chatting to you. Best of luck with Call Nurse Millie. 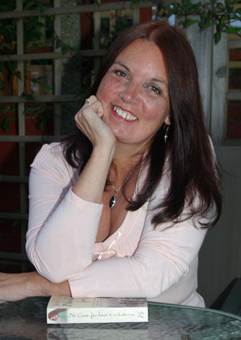 You can connect to me on my website at www.jeanfullerton.com to find out about me, my previous books, and my East London heritage along with pictures of the actual locations I use in my books. 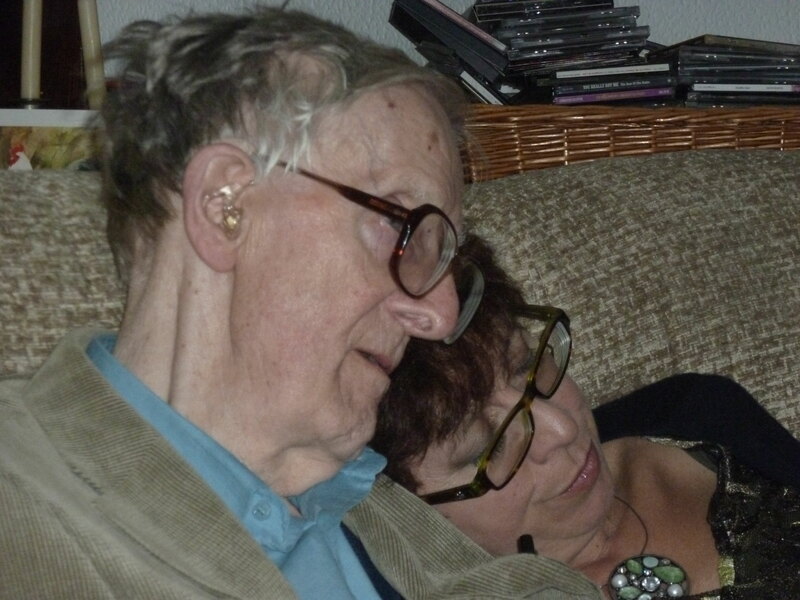 So, on the theme of less is more, I want to talk about Five Star People – the ones who become involved in your life for a very good reason, affecting the way you write and also the way that you see the world. Sometimes they pop in and go again quite quickly, more often they hang around for some time and occasionally they are with you for the duration. Whichever ones you’re thinking of right now, they all have something in common – they make your life better. They are life enhancers extrordinaire. And what’s more, they help you to develop as a writer. 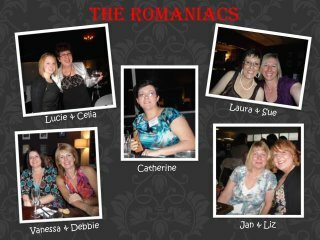 Hoping you like the small selection from my personal gallery of five star award winners, naturally including the Romaniac gang. We have experienced some tough times between us since we met and have had to accept that we can’t always write or even be in touch as much or as often as we’d like to, but the support is always there and without them, my life would be much less sparkly. It would be great to hear about some of your own stars now, and also to have your views on the merits of short/longer posts. I’m off to make a cake now with all that waffling time I’ve saved. However, I survived – Yay! What has this to do with writing? Well, as I rummaged through my possessions and clothing, deciding what should come with me and what should face either the dustbin or the charity shop, I decided this was a bit like editing. Beautiful dress, very elegant, bought for a wedding, again worn once but keeping it because there’s bound to be another wedding soon. Keep but with a deadline for wearing it or it goes. Taking up too much room. Descriptive writing, setting the scene but went off at a flowery tangent describing the countryside. A bit too drawn out and not moving story along. Cut the scene down. More concise writing, so it is more in keeping with the genre. Plenty of t-shirts, of varying ages and wear, mostly black or white. Dustbin. Have definitely seen better days. Secondary characters – too many of them, some of them boring and not earning their keep on the page. Merged two of them into one. Heroine only needs one best-friend. Favourite trousers but too tight, if only I could get back into them… Keep as inspiration. Pin a photo of them on the fridge in new house as a reminder and incentive. Have a great character that I really like but can’t quite get them to fit into WIP. Deleted but saved in a separate file for future WIP. Skirt bought in a sale. A bit plain and not very exciting. Up-cycle! Jazz it up with some brightly coloured appliqué. Not enough dialogue or white space. Narrative just goes on and on. Characters given much more to say … Show and don’t tell. Their personalities are shining through better now. Hard as it was to be ruthless with my packing, it was even harder being ruthless with my WIP but I do feel that both exercises were very worthwhile. 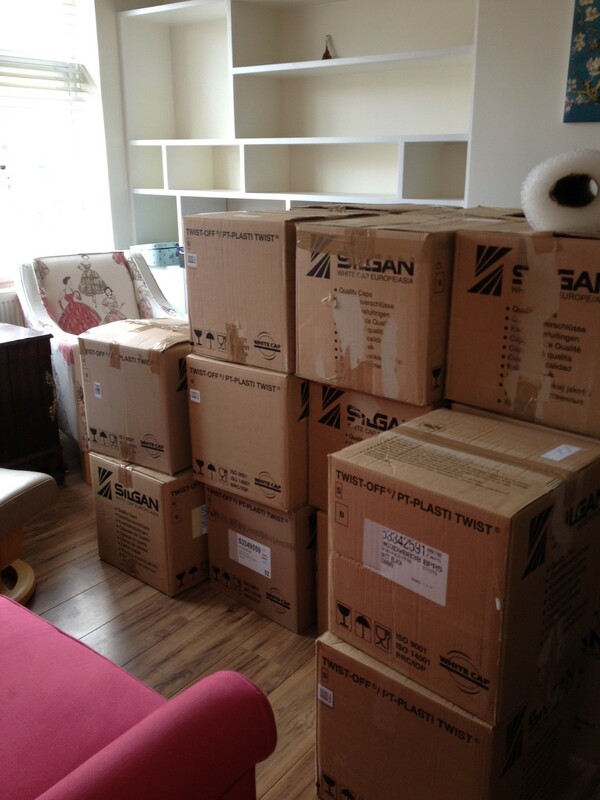 Now I’m in my new home, I just have to do it all again with the unpacking and, no doubt, do it all again with my WIP.